Socrates was worried about the rise of written text. He feared that it would change our habits of mind and not allow us to remember. The printing press would spark another revolution, as mass produced text would change the world. Not unlike our current digital revolution, the push back was fierce and loud. And because history does repeat itself, we can indeed learn a lot by looking back at the last great technological revolution in publishing. One that gave birth to the publishing industry itself, and that today, fights for its place in the digital tsunami. 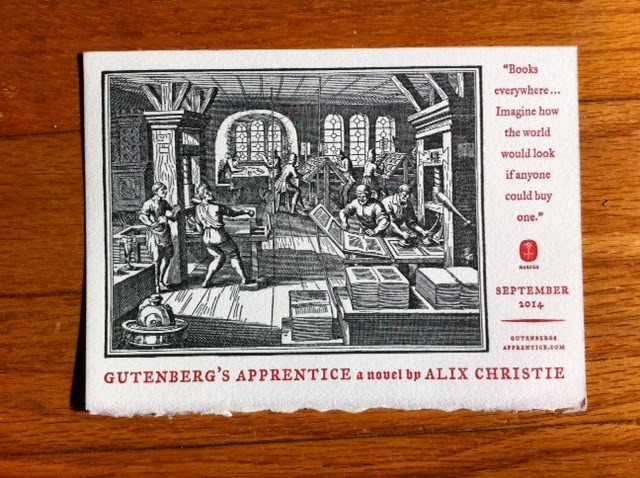 Journalist Alix Christie takes us back to this momentous time, 500+ years ago, in her debut historical novel Gutenberg's Apprentice. This is your brain on narcissism. Technology, IS making us smarter!